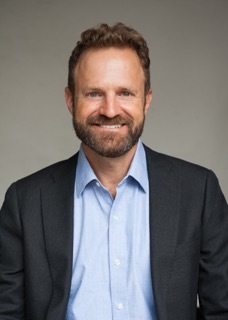 Dr Tim Ambrose is a highly qualified psychologist who has spent his life understanding how people connect and communicate. Tim has extensive experience treating couples, anxiety disorders, depression, adjustment disorders, trauma, and personality disorders. He also has extensive experience with LGBTI patients and people with or affected by HIV/AIDS. Prior to studying psychology, Tim completed his BA at Dartmouth College where he studied languages, literature and philosophy. After nearly a decade of living and working around the world, he returned to the US to study clinical psychology, earning his MS in 1996 and his PhD from Rutgers University in 2000. During his career, Tim has developed a simple method to explain the complex systems involved in relationships. His model is a “distillate” of many theoretical approaches that represent the essence of human experience. and Dialectical Behaviour Therapy.Using plain language and accessible examples, Tim helps people understand core human emotions and fundamental relationship dynamics. He teaches how to modify thinking for greater emotional ease and clearer communication. He provides people with a basic set of tools for more connected, effective and happy relationships and lives. Tim also works as an executive consultant, coach, group facilitator and strategist. He helps leaders develop a nuanced understanding of the role that emotions play in creating confusion and friction, often resulting in a reduction in productivity. Tim works directly on peoples’ verbal and nonverbal communication, helping them develop more adaptive, healthy and happy relationships. As a result, Tim’s business clients report greater success and satisfaction both at work and at home. Tim works with individuals, couples and groups in clinical, corporate and governmental settings. He has worked with rural populations for 16 years and has worldwide experience in the provision of psychotherapy online. Tim is also fluent in French and German and can offer treatment in these languages. Tim is a member of the Australian Psychological Society (APS) and the American Psychological Association (APA). Tim consults in Woollahra several days a week and can be reached by phone Monday to Friday on 1800 466 162.